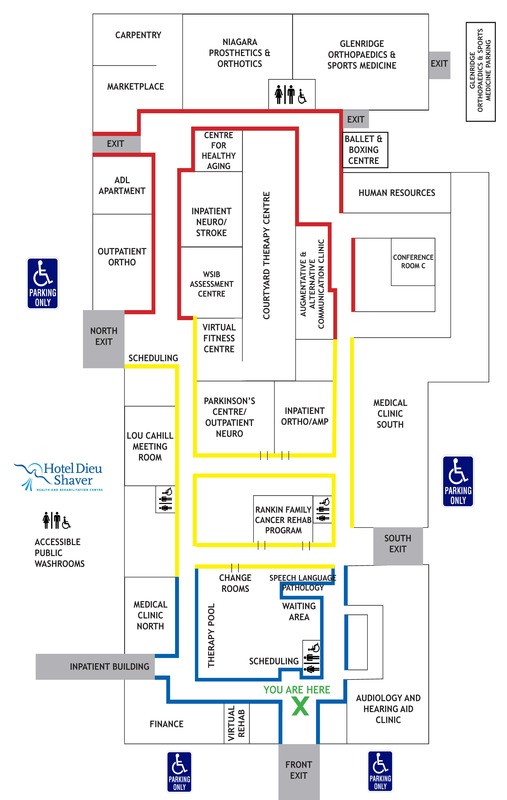 Lisette walks through the hallways of Hotel Dieu Shaver Health and Rehabilitation Centre. Every few steps, nurses, therapist and porters stop to say hello. She greets each and every one of them with a hug. “I don’t remember all their names, but I remember their smiling faces,” she says. She’s knitted a couple of winter toques and gave them to the therapists. A small gift perhaps, but all she can give to show her gratitude. Her first visit to Hotel Dieu Shaver was in January 2014 after being at St. Catharines General for asthma and Chronic obstructive Pulmonary Disease complications. She fell and hurt her knee, needing therapy. After six weeks at Hotel Dieu Shaver, her knee healed and she went home. Her last visit started a little less graciously. Trying to empty a cat litter box, she slipped. She picked herself up and felt fine. But the next day, she started feeling stiff, and eventually found that she couldn’t move at all. Doctors told her she had bulging disks and pinched nerves along her spine. At first she was told her back was inoperable, but her doctor eventually found a surgeon who would operate. Lisette had trouble staying still. Always one to keep herself busy, she made fast friends with her four roommates. “We had some good times.” They spent their time doing puzzles, playing bingo with Recreation Therapy, and even racing down the hallways in their wheelchairs with other patients. They cheered each other on as they recovered through their physical therapy. “You hurt together, you laugh together, you cry together,” she says. The past owner of a hardware store and plant nursery, she moved to St. Catharines about 15 years ago. Lisette’s father was a mechanic and her mother, a secretary. Lisette knew her way around various tools, and was especially excited that the Carpentry Shop was part of her therapy. 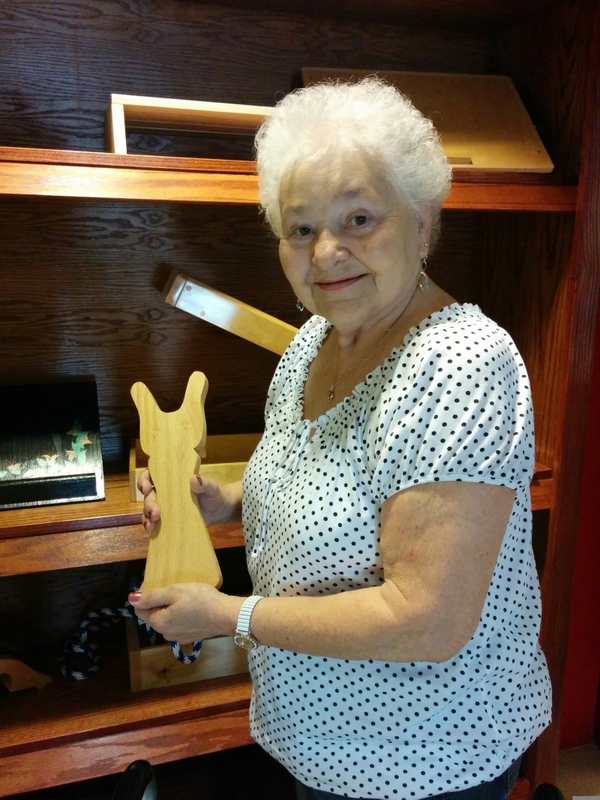 She used many of the tools in the shop to build a wooden bird, laser cutting the angles and varnishing the finished product. The bird house still hangs in her living room today, its wings symbolizing Lisette’s own journey to recovery. Lisette has been home now for five weeks. Though she still suffers from some back pain from the surgery, she’s progressed from being unable to walk, to a wheelchair and finally a walker. Going home was overwhelming at first, but her goal is to one day walk with only a cane. She is still close friends with her roommates—she even shared Thanksgiving and Christmas dinner with one of them.